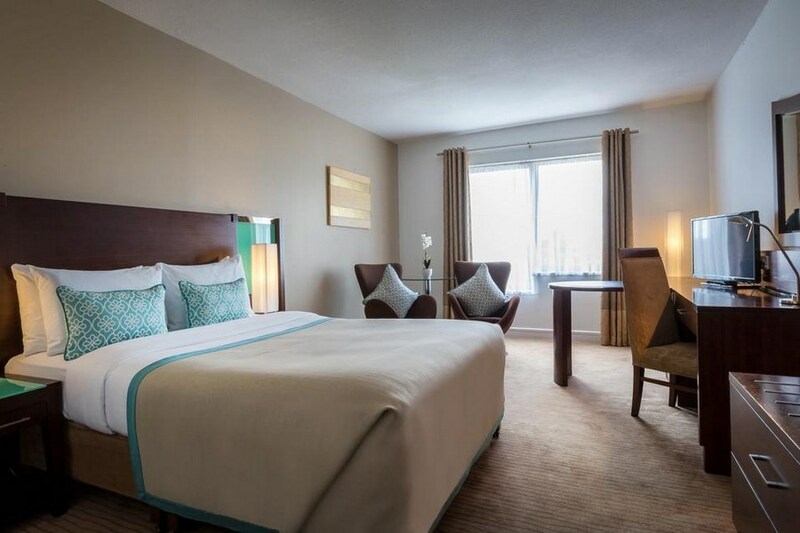 This Portlaoise hotel boasts a myriad of facilities offering the Midlands of Ireland a new vision in hospitality, where the emphasis is on personal dedicated service to you, our guest. For those who just want to relax after a long day at work our wet area is for you with an 18m deck level pool, sauna, steam room and a jacuzzi to really unwind in. The Hotel is on the Dublin road. 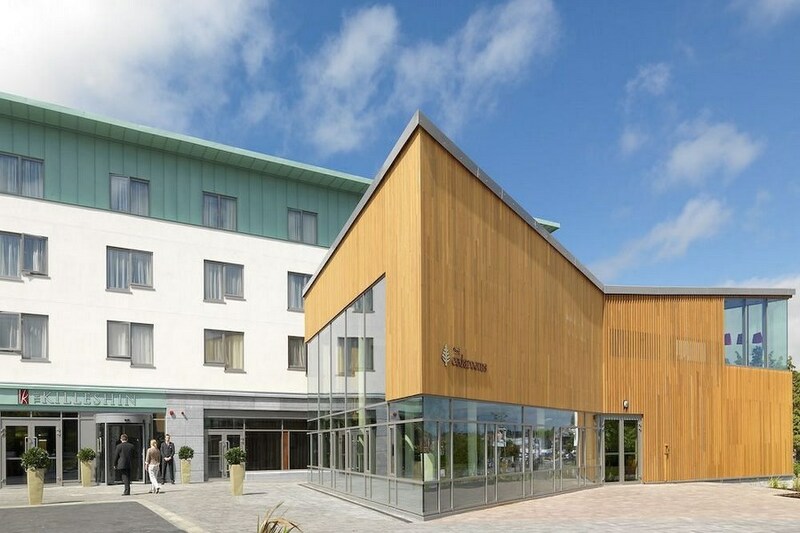 Ideally located in the Midlands, at the edge of Portlaoise town, a half kilometer from the M7, N7 and N8, making this venue a most accessible location. great stay at the Killeshin. Lovely staff too. Staff lovely. Room ok but carpet dirty and no throw on bed. Stain s down side of mattress base, bare base on view. Breakfast on morning one was quite cold morning two was fine. Short bar menu from 9pm which was fine as we ate before that and menu was extensive, but no warning that short menu was from 7 on Saturday i.e fish and chips, burger or one pasta dish. Restaurant was fully booked so we had to eat elsewhere. Not a 4* experience by any stretch of the imagination. Martina, Wexford. The Killeshin is a very comfortable hotel, with excellent staff. The food is very good, in both the bar and the restaurant. I would definitely stay again and would recommend it to friends, family and colleagues. My husband, daughter, future son in law and myself had a great weekend in the Killeshin! All the staff were friendly, cheerful and helpful! Special mention for the bar staff, receptionists and the dining room staff. Breakfast on the 2 mornings was excellent and there was no problem when we asked for boiled eggs or scrambled eggs instead of the fried option. We dined at the hotel on the 2nd night and were very pleased with the choices and the quality of the food served. The bar food was also delicious. Our rooms were spotless,very roomy and comfortable. We all enjoyed 2 great nights' sleep. All that was missing were a couple of benches or chairs outside so that we could enjoy the sunny weather during our stay. Hopefully we'll be back again soon to enjoy all the shops in the town. My daughter and her partner walked the 10/15 minutes to the town and returned 4 hours later laden with their purchases. There was no live music in the hotel while we were there but there were plenty of bars offering music in the town. The friendly receptionist suggested we try O'Gormans which is situated a short distance up the road to the left of the hotel and we recommend it also. had a great 3 night break at the killeshin hotel easter weekend.we were greeted by a very friendly receptionest and she was so welcoming.had a fantastic meal in restaurant on friday night.compliments to the chef.had drinks in the bar on sat and sun and the bar staff were very friendly .there,s a lovely swimming pool in the hotel and plenty of seating in the reception area to read the paper,s and relax.we will definitely be back.certainly a four star hotel. william from dubllin. The Killeshin Hotel is a lovely venue to have a break in, we were greeted at reception by friendly and helpful staff. The rooms are very spacious, spotless and have all mod cons. I loved the warmth of the room. The restaurant is of 5 star quality, the food was excellent at dinner and breakfast had a great selection of foods. The service was professional, fast and efficient the restaurant manager was excellent. Reception area was a little chilly for sitting in but one of the best hotels i have stayed in with a while. great location just off the M7 Motorway and easy access to Dublin and midlands. Very friendly staff, Excellent food both in the bar and restaurant. Would highly recommend this hotel either for a family or a couple. Stayed here with 4 friends for a girly weekend. Had a great time. The food was amazing and we were pleasantly surprised with the choices as we assumed the worst with the price we paid. Will definitely be back. We stay here a few times a year and always find the staff very friendly and helpful. We would not be returning if we were not satisfied with the hotel. The receptionist Yvonne is always very efficient and helpful and pleasant. We will be staying there in 2014. I booked a night in November in the Killeshin hotel, Portlaoise. The room was lovely and comfortable. We could turn on and off the heating. We could open the window for fresh air. The bar staff were very helpful and friendly. The reception staff on arrival were business like but not friendly however the staff on the following morning were really nice and chatty and gave us clear directions to the outlet centre in Kildare where we did most of our Christmas shopping. We were impressed with the quality of the food it was delicious. I will return again. Thank you all for making our night away so enjoyable. Nothing like getting away for a night and chilling out. I found my stay in The Killeshin Hotel to be everything and more than I expected. From before we arrived, the attention we received was second to none. I wanted to upgrade my mother's room and order a cake as the reason for our stay was to celebrate my mother's 60th. Leona on reception organised everything professionally and with ease for us. She booked our meal time and all we had to do on arrival was to sit back and enjoy. The facilities are very good and the food was fabulous. Special thanks to the chef for the amazing cake!! Again the staff were attentive and friendly and it was this that puts The Killeshin a cut above the rest. All requests were met with a smile and a can-do attitude. I look forward to my next stay and I would like to thank all the staff at the hotel for such a relaxing and enjoyable break. Room standard excellent and very clean. Staff all very friendly and helpful. Pool facilities very good. We were disappointed to discover that restaurant was closed and we were eating in bar area (Thursday night). What I felt let the hotel down was the standard and choice of the food for evening meal. We sent soup back because it was tepid. Also as one of our group was coeliac we had requested before hand via email, note with booking AND phoned in advance to confirm that GF cereal was required for breakfast. We were assured it would be but it was not. We would have brought our own otherwise. One other small thing was that breakfast plates were cold so food went cold quickly. So food aspects were a disappointment which is a pity because everything else was great. We had a wonderful stay at the Kilashin. The staff are very friendly and the food was excellent, would definitely stay again. Great Hotel, very clean & family friendly would stay again. We really enjoyed our stay. The bar food was good.The breakfast was also delicious. The pool was great and the kids had a ball.The sauna and jacuzzi were also great. The staff were also friendly. Incidently I was informed by the receptionist that someones car did not start,he left lights on. I just happened to be paying at the time. They had no jump leads and were ringing around to find a set. However I had a set and started a stranded Dub.My pleasure. So maybe the hotel should have a set for emergencies. lovely stay at KILLESHIN huge family room, much appreciated.food and service excellent. Everything up to the usual high standard. Will continue to stay there on our trip to the Midlands. A freshly decorated modern hotel in good location and with easy access. A very warm welcome is extended on arrival and this high standard of staff professionalism existed throughout all categories of staff we encountered. Bar was spacious and characterful and food served here was of good quality. Rooms and facilities clean and comfortable. couldnt fault anything about hotel.just stayed one night bed and breakfast and evening meal.food was only beautiful and the breakfast was super and so fresh. loads of everything even near finishing time.staff were lovely, especially staff in dining room. they were so attentive but not overpowering.rooms were nice. only one small little thing, no shower caps. that didnt bother me but it might bother some people.would defnitely stay again. Stayed here on a sat night. The music and DJ were going full blast till 12.30 making it very difficult to sleep. Food was ok only , while the leisure facilities were nice. Good quality hotel. Rooms are pleasant. 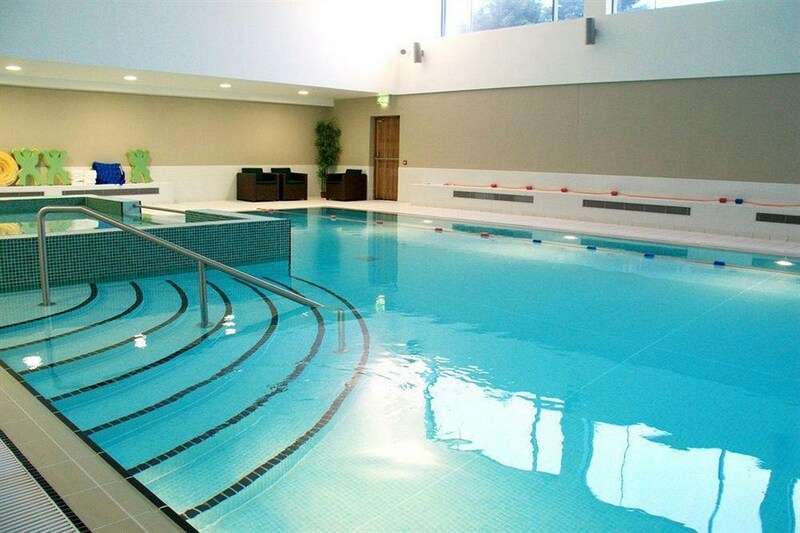 Nice leisure facilities, speciallly sauna. Pool a bit small especially if there are children about. Extended opening hours of leisure centre would be nice - doesn't open until 9am on Sundays and last entry at 6pm. Had a lovely one night stay at the Killeshin Hotel. Rooms are modern, bright and clean and staff are friendly and in particular the restaurant staff were superb. Dinner was part of our package and proved to be of an excellent standard and breakfast the next morning was delicious. All you could ask of a 4 star hotel. Didn't get a chance to check out the leisure facilities but I'll be back so maybe next time! A fantastic price for a great night away. Room decor in need of attention. Staff very friendly. Not sure if it deserves 4 star standard. Dining room not open bar food average. Absolutely fantastic stay in the Killeshin... our second visit and we were not disappointed. Everything was 5 Star, from the Staff, Bar, Restaurant and House Keeping. It was my friend's birthday and there were 8 of us celebrating in style. When we arrived for our dinner there was a bottle of Prosesco waiting for us, followed by a lovely birthday dessert for the birthday girl. Special thanks to Antonio, Caitriona, Yolanda & Christina for making our stay so very special. We will be back that's for sure. Kind Regards and Thanks, Catherine Ryan and Friends. Stead here the weekend. Had great time lovely hotel staff very helpful and friendly. Room really big we stay in family room.kids had great time in swimming pool. Rooms were really clean. The kids want breakfast in bed and have to say the food was good. All and all would recomend this hotel. We will be back again. We use this hotel on a regular basis and can recommend it. The staff are very pleasant. We will be using this hotel again. just stayed at the Killeshin Hotel Portlaoise for one night B/B and two course evening dinner. The stay was excellent, rooms are super and food is excellent. Have stayed there many a time and truthfully have never had a bad stay or a bad meal. Only good things to say and the choice is very varied. I would definitely recommend for a stay and for meals. If I have to say a negative, the bar was full and could have done with some music, maybe a guy in the corner playing a guitar or piano or something, would have really made the hours in the bar very interesting. Will definitely stay again, and again and again. We had a wonderful stay at the Killeshin Hotel. The food was excellent and the staff very friendly . Needs sheltered smoking area as my sister is a smoker and had to stand ourside in the cold. Manager very helpful and reassured us that they would have a smoking area very soon.